BMW has released an official snap-in adapter for most of it’s model range. Costing £60 (~$130) it allows the iPhone to remain on charge whilst also connecting it to the car’s external antenna for a stronger boosted signal. I picked up the cradle this morning, BMW part number 84-10-9-182-792 costing £59.99 in UK money which was the same price I paid for the Nokia 6230i snap-in I previously bought. Installation is…well I wouldn’t even call it installation, press down on the snap-in eject button, the old Nokia 6230i cradle pops out, snap-in the the new one…I’d say 10 seconds at most! First impressions are good, feels heavy, solid and robust, the pop up spring mechanism when you eject also feels sturdy yet smooth. You position the lower edge of the phone in the adapter and then press on the top edge of the screen to lower the phone down until it locks in place. There is a small plastic lip that then pops out to lock the top of the phone down. To remove the iPhone simply press the eject button and the top lip slides back and the phone lifts up at an angle for easy access. At first I had to press several times and with some force to get the eject mechanism to work but it’s much easier now once it’s been used a couple of times and things have “freed up”. The snap-in charges the phone and connects it to the external antenna of the car. I’ve NEVER noticed any signal difference on any of the phones I’ve ever owned with BMW/Nokia car kits using external aerials but this is more likely due to strong signal everywhere I go. There aren’t any areas I can think of where i’d normally have little to no reception to test if there is any gain using the external antenna. NOTE – the snap-in does nothing other than listed above [charge and aerial], it does NOT offer a hard-wired connection to the iDrive, the connection between phone and iDrive has been and always will be bluetooth. Several people have also wandered if this would allow you to access the iPod features on the iPhone through the stereo but it DOESNT. I’ve taken far too many photos of the adapter, to see ALL the phone click here or click on the image above. anything, alas no joy. Just wanted to know if anyone knew of a quick fix..??? Good photos. However, mattijzz is correct. The phone can connect externally. And the new iPhone 4 is a good candidate for this. However, I’d just stick avoiding the Bluetooth and just use the speaker in the iPhone; it’s pretty good. Hi nice pics. I think it does NOT connect to the external antenna since the Iphone does not have a connection for that. It says on the BMW website that there can only be a connection to the airial when the phone does have a conenction to do so. The iphone does not have this. I see this everywhere on the internet but the info is wrong. I have a Uk 2008 x3 with Bluetooth. My dealer wants over £155 for the cradle, says I need an additional bracket and 15 mins of labour to widen the housing in the armrest – anyone know if this is right?? Where can the arm that the cradle and adapter be purchased? Does it have a part number/name? Why can’t BMW get the Bluetooth thing right. My UK dealers haven’t a clue which type of phone works and which doesn’t. If Ford and Vauxhall can make a systen which works for a fraction of the BMW system factory then BMW are taking the urine. the problem with BMW is that they seem to think that they don’t have to try too hard. The new C class Merc is becoming mroe and more inviting. @Kirk – Sorry for the delayed response, I only bought the snap-in adapater which simply clips into place. I have read of people retro-fitting the entire unit including wiring diagrams, all I can find is a BMW bulletin that looks to show the wiring you may need? Have you ever seen an Iphone or Ipod solution for a 2004 745li other than the Mobridge option? I’ve just had a strange one that I thought you may all like to know about. When another iPhone user travels in my car with their bluetooth enabled it interfers with the Mic so that a caller cannot hear me properly, however, I can hear them perfectly. Also I report that a faint echo has materialised, I was hoping the recent iPhone software update might address this but it hasn’t. My car has been booked into BMW on the 18th August 2008 to have this looked at. iDrive loaded with extras cost me no less than nearly £2.5k so I expect it to work. Still cant get over slow processing speed, incorrect track name when playing from iPod every now and then. I dont believe Vauxhall have this problem! Again will keep you posted. Scoopz, really must assign a weekend to catching up mate! I’ve just got my iPhone 3G and Im not having any problems with the phone book in my iDrive. But I also dont have the latest iDrive. I think I am still using one version before the current one. I have the Mini equivalent of iDrive fitted to my Cooper Clubman. My current iPhone with V2.0 software works fine with the car. The new 3G iPhone will fit the ‘old’ iPhone cradle but it’s not the perfect fit of the old one. I had little confidence that it will fit before, and now with *Bill Gybels* response above I am 100% sure it won’t ! I will check it out though and if it fits then I will let you know on here. i just checked with my BMW dealer and the 3G iPhone doesn’t fit in the current snap-in cradle. Cheers for the minutes above to our conversation and it’s obviously useful for your other readers. Just spoke with you on the phone but for the others reading this, there’s no simple answer to whether an iPhone 3G will work with your May 2008 (3-series) with iDrive. Several others have reported the iPhone original update to iPhone2.0 work with 2008 3-series and other’s report it doesn’t. Either way I wouldn’t worry about it too much as I’m pretty sure Apple with have a fix out in the form of a firmware update in the coming weeks. There is absolutely no way to find out your current iDrive (CCC) version yourself, there are 3 hidden menu’s that I’ve discovered and written tutorials on how to access but even then none of the variables, tags, etc within the hidden menu’s represent iDrive software revision. If you go to your local dealer and ask them they *should* be able to tell you if they’re feeling helpful. NOTE – the above 3 hidden menu’s I have confirmed as working in all iDrive versions on the 5-series BMW M5 and 5-series. I’ve never tried them on any other model but don’t see why they shouldn’t work. I’m going to take my cradle into town tomorrow and see if I can try a 3G iPhone in it and will report back. I was wondering if my BMW registered build May 08 would support my new 3G iPhone? Would my version of Idrive be any more up to date than yours? How do I find out my revision? Does the cradle you have work with the 3G iPhone? If you call up your local BMW dealer and ask for the parts department, give them either your vehicle registration or VIN number (in lower left of front windscreen). They can then enter that info into their system which will tell them if the iPhone cradle would be compatible with your car. I had a 2001 5-series which had a built-in motorola phone cradle but didn’t have integrated bluetooth. – Does your car have BMW factory fitted bluetooth? If not then I’m afraid it’s game over. – Does your car have the space under the armrest for the BMW snap-in adapters? If not then it’s not a simple case of just buying the adapter shown in the photos. Sorry I can’t give a definitive answer but it all depends on the spec of you car when it left the factory. PS – The new 3G iPhone is getting official revealed on the 9th April so if you can install an iPhone cradle and are planning on updating to the latest iPhone hold off for a little bit, no doubt the new 3G iPhone won’t fit in the old iPhone cradle and BMW will eventually bring out a “3G iPhone adapter”. i mean i have BMW 330ci – 2002 ! it will fix or not ?? Thank you for you comments, firstly let me address your query about the temperature of the iPhone after 20-30mins in the cradle. My iPhone has shown absolutely no signs of temperature increase whilst on charge in the BMW cradle so you may want to keep an eye on that, perhaps swap it out for a another cradle with BMW or try a friend’s iPhone? Were you using the phone for the entire time it was on charge in the cradle, on a 20-30 minute call? If so the phone will be drawing more current to simultaneously charge and make the call. I doubt there are any settings your BMW dealer could change regarding the cradle but I might be wrong. Regards signal…I’ve yet to notice an increase in signal with ANY external aerial connected to car kits I’ve ever owned (mostly all Nokia kits). Although I don’t really travel anywhere where signal drops below half most of the time so I’m not the best candidate to test it. I have had my dealer installed both the ipod Kit and the iPhone kit as per the above illustration. Everything works and my iPhone (v1.1.4 unlocked) syncs the phone #s (even in multiples, home/work, etc for 1 name) to my iDrive. As for signal, I have yet to fully discern if the cradle (with the external antenna shark fin) have increased the signal quality. I will need to do a more through test to ensure it’s not physcological. One thing I would like to ask the rest here, who have installed the same cradle.. I noticed that the iPhone seems to be un-naturally hotter after plugging it into the cradle for say 20-30 mins. Is this normal? If the cradle is doing a high current charge, then it’s not good for the battery. Is there a setting somewhere to check what is charge level that the cradle is delivering to the iphone? Can this be changed/set at the dealer level (perhaps my dealer set it to ‘high’, etc).. The iPhone fully integrates with the BMW bluetooth in my car (E60 M5) and syncs all contacts to the iDrive for you to scroll through or voice dial. The BMW iPhone cradle instructions state it will only sync the default number for a contact if multiple phone numbers are entered for one person but this is not true, I have “mobile”, “home”, “work”, “other” etc for most of my contacts and the iDrive breaks them down for you, appending (home), (mobile), etc to the end of each entry. I didn’t need to get the bluetooth firmware updated for the iPhone to function correctly, however, I have had 3 firware updates on my car relating to different issues with the iDrive crashing, etc I think I started on version CIPv24 and am now on CIP v27. Voice dialling works a treat, it’s standard on my car but may be a cost option on other models. 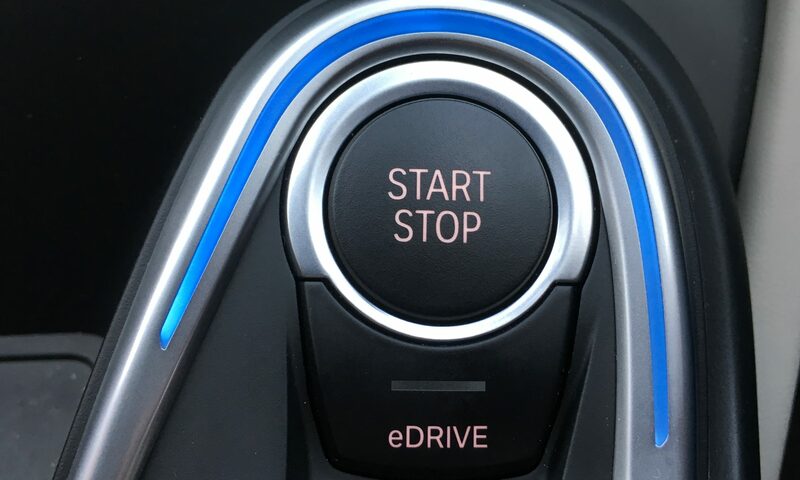 The iDrive also remembers the top 8 numbers you call most often and places them in a “Top 8” list on the iDrive for easy access and to avoid having to scroll though too many name entries. For the record, I have 450+ contacts in my iPhone with multiple numbers for most of them. There are even more contacts with email addresses only but these are not sync’d to the iDrive since no phone number exists. I stupid question realy, Does the iphone fully integrate with the blue tooth system? addressbook etc?? if so did you have to have BMW upgrade your car firmware if so did they charge you for it?